The government of Djibouti cannot terminate the contract granting control of its strategically important Doraleh port to Dubai-owned DP World, says a London arbitration tribunal. 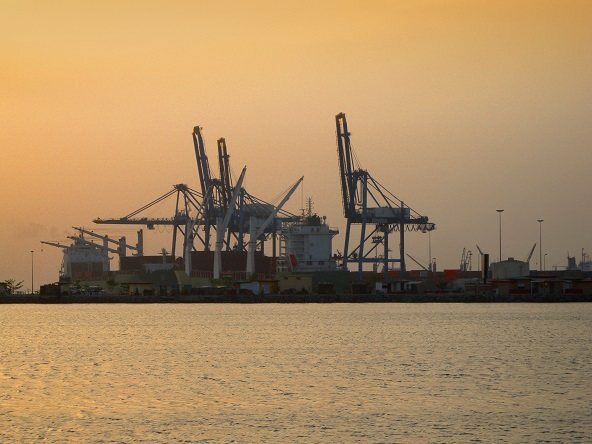 Djibouti cannot terminate DP World’s contract to operate the Doraleh Container Terminal, despite the government having seized control of the facility from the company in February this year, according to a London arbitration tribunal. The dispute between the government of President Ismaïl Omar Guelleh and the Dubai state-owned port operator goes back several years and is complicated by political angles including Djibouti’s increasingly close relationship with China. The case was brought at the London Court of International Arbitration (LCIA) as provided for under the concession contract, which is governed by English law. Sitting as a sole arbitrator, Zachary Douglas QC of Matrix Chambers made a partial final award that Djibouti could not terminate the contract, which “remains valid and binding notwithstanding Law 202 and the 2018 Decrees”. Those pieces of legislation gave the government the power to renegotiate contracts relating to strategic infrastructure. However, sources familiar with the case argue that this was not a genuine attempt to renegotiate, rather an ultimatum to hand over the terminal. Djibouti refused to engage with the arbitral process and was not represented in the case, and has subsequently stated that it does not recognise the award. DP World was represented by a team of lawyers from Quinn Emanuel Urquhart & Sullivan, including London-based partners Ted Greeno and Anthony Sinclair, and William Urquhart, who is based in the United States. Quinn Emanuel said DP World was now considering its options. A statement from the Dubai government said the award “confirmed the illegitimacy of the Government of Djibouti’s action of seizing control of the Doraleh Container Terminal from DP World”. DP World won the concession to design, build and operate the terminal in 2006, which it says is the biggest source of revenue in the country. The government seized control of the terminal on 23 February this year, after which DP World immediately filed the LCIA case. Djibouti Ports & Free Zones Authority (DPFZA) has argued, among other things that DP World’s monopoly within the country was hindering competition and development, that the concession contained governance irregularities, the port under-performed and that DP World excluded the government from decision-making and monitoring. Djibouti is strategically sited, at the entrance to the Red Sea, providing access to the Suez Canal and also to land-locked Ethiopia, and as such is an important foothold for parties seeking to trade with Africa. In hearings earlier this year, Untied States political and military figures expressed concerns that China would be gifted control of the port by the Djiboutian government, possibly as repayment for loans, which they said could threaten US interests in Africa. Djibouti is home to the only permanent Chinese and US military bases on the continent and is part of China’s ambitious and expansive One Belt, One Road (OBOR) infrastructure initiative. State-owned corporation China Merchants already has an indirect 15% stake in the port. That accusation was angrily rejected by DPFZA as “unfounded”. A previous LCIA arbitration is still ongoing between the parties, overseen by Sir Richard Aikens, Lord Hoffman and Peter Leaver QC, relating to a 2014 attempt by Djibouti to rescind DP World’s concession. Last year, that tribunal dismissed accusations by the government that DP World had won the concession through bribery of Abdourahman Boreh, a businessman and former head of DPFZA. Boreh, a former ally of Guelleh, has since gone into exile. In 2016, London’s Commercial Court decided a civil fraud case in favour of Boreh, with Mr Justice Flaux rejecting all of the government’s accusations of bribery and corruption. In March, DP World won a 30-year concession to develop Democratic Republic of the Congo’s first deep water port. Ports are critical infrastructure for the economic development of any coastal country. A report by PwC earlier this year revealed that 80% of the volume of the worldwide merchandise trade and 70% of its value go through ports.